When the health and appearance of your smile has become compromised by dental problems or injury, it is time to meet with an experienced dentist to undergo full mouth reconstruction. A full mouth reconstruction treatment plan involves two or more dentistry treatments to restore your oral health. At PQ Family Dentistry, Drs. Tim Belnap and W. Brandon Jergensen offer the most advanced and effective restorative dental procedures. To find out if you are a good candidate for full mouth reconstruction, read on and then contact our Rancho Penasquitos, CA or Ramona, CA practice today. Cavities are a common problem among patients. Most often caused by poor oral hygiene practices, cavities develop in response to tooth decay. Tooth decay occurs when plaque and tartar build up on the teeth. Plaque is a sticky film that contains food particles and bacteria. As the bacteria feed on food particles, they emit acids that slowly destroy healthy tooth structure. In the early stages of tooth decay, a cavity will develop in the enamel, the outer protective layer of the tooth. As the tooth decay progresses, a cavity will penetrate the enamel and reach the dentin, the dense tissue that makes up the majority of the tooth. If left untreated, the tooth decay will eventually reach the root canals of the teeth, resulting in a root canal infection. A root canal infection occurs when bacteria infect the delicate tissues and nerves that are housed within the central root canals of the teeth. 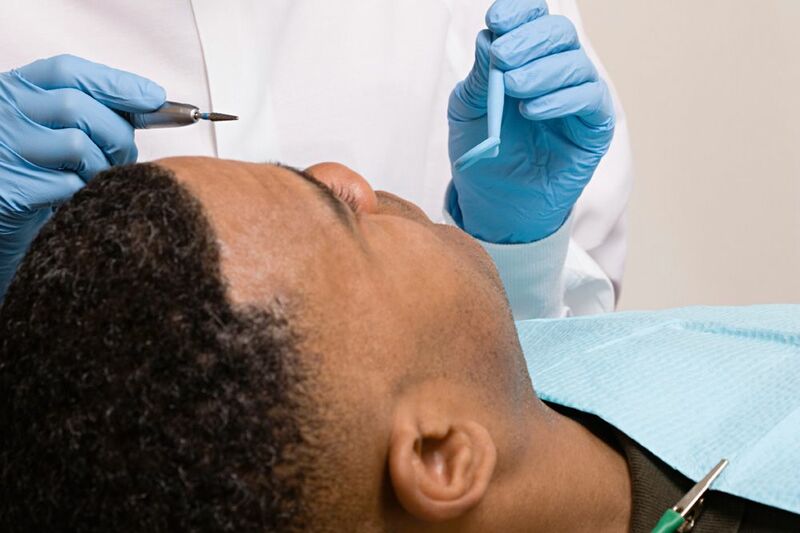 A root canal infection can lead to tooth loss if it is not treated in a timely manner. Gum disease is the most common dental problem among patients. This condition develops when plaque and bacteria build up along and under the gum line. The bacterial acids destroy healthy gum tissue, just as they do to healthy tooth structure. Over time, the gums begin to recede, and plaque build up creates periodontal pockets, loosening the hold on the teeth. Left untreated, gum disease will eventually destroy gum and jawbone tissue, leading to tooth loss. Cavities, root canal infections, and gum disease are the leading causes of tooth loss. If you have developed these conditions and let them go untreated, you are at risk of tooth loss. Tooth loss causes additional dental complications, including shifting of the remaining teeth, jawbone degradation, and bite misalignment. The effects of age, chronic teeth grinding, and daily use can contribute to tooth erosion and wear. With time, this can lead to increased tooth sensitivity, noticeable wear, and increased risk of tooth decay and root canal infection. Gum disease, daily wear, and chronic teeth grinding cause gum recession. When the gums recede, it puts patients at higher risk of cavities and results in root sensitivity. Chips or fractures can result from an accident, bad dental habits, or biting down on hard foods. Chips and fractures may allow dental bacteria to reach the inner structures of the teeth, and they affect your oral appearance. If you have any of the dental conditions listed in this blog post, you may be a good candidate for full mouth reconstruction. Contact PQ Family Dentistry to find out which combination of treatments are right for you.